Periodontics & Dental Implants - Grapevine, Southlake, Colleyville & beyond! When you visit Grapevine, TX periodontist Dr. William M. Grover exceptional personal care is our top priority. Our entire team is dedicated to providing you with the experienced and excellent care that you deserve and are committed to helping achieve and maintain the highest levels of dental health. As a board certified periodontist, Dr. Grover is proud to offer a full range of periodontal and dental implant care to patients in Grapevine, Southlake, Colleyville and surrounding areas of north Texas. NEW PATIENTS CLICK HERE to learn about appointment and payment options as well as find answers to frequently asked questions, download patient forms & more. Call (817) 481-1622 or Request Appointment! Grapevine Periodontist William M. Grover, DDS, PA is a board certified periodontist serving patients in Grapevine, North Richland Hills, Keller, Southlake, Colleyville, Hurst, Bedford, Richland Hills and all of Northeast Tarrant County. If you are looking for Periodontics, Scaling & Root Planing, Bone Grafting, Gum Grafting, Laser Periodontal Therapy, LANAP (Laser Assisted New Attachment Procedure), Dental Implants visit Grapevine, periodontist Dr. William M. Grover today or request an appointment online. 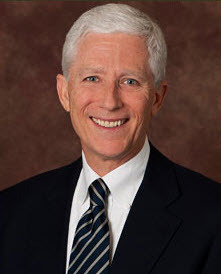 Grapevine periodontist, Dr. William M. Grover is a professional dedicated to excellence in periodontics such as periodontal disease diagnosis and treatment, bone grafts, crown lengthening, dental implants, and more. Dallas, TX periodontist, William M. Grover, DDS, PA looks forward to serving you.